Moms and grandmas ,if you can't seem to take enough photos of the kids in your life, this is THE book for you. I loved this book with its cute, natural photos of children. Loads of pages with photos. This book tells you how to compose shots, handle cameras from basics to advanced, take portraits or candid shots. 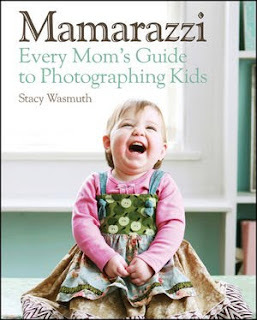 This book will help "mamarazzis" everywhere take better photos. Moms are the fastest growing segments of camera-toting, and the blogosphere has a term for them, mamarazzies. As a mom and a grandma, I know you can never have too many pictures of your children and grandchildren. They grow too quickly and once the opportunity to take the photo is gone------it's gone! We are so lucky these days to have digital cameras. I grew up with film cameras. Take scads of photos, then delete those you don't like....it is so easy. No excuse not to take those cute photos, especially of children.